At Bed DRS, a Barbara’s Picks Member, they concentrate on how a mattress set can improve your health through a better night’s sleep. 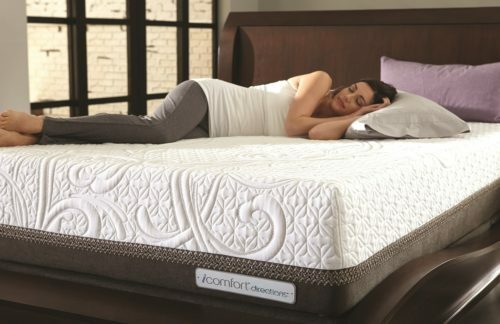 Their sleep consultants provide years of knowledge, professional experience and top-of-the-line customer service making it simple to choose the mattress that best suits you. Having Barbara teach me about my palette of colors has truly been life changing! I used to feel uncomfortable in my house, but not know why. Now, with a few changes of color, I feel at peace. Knowing my colors I can also now walk into a store and find the exact color that will look good on me. I cannot express enough gratitude to Barbara for this education! I took your class a few years ago and I have to say I am really enjoying your posts. It doesn’t take much to change the mood of a room or home. As I just posted, I painted over all the heavy Tuscan red of 4 years ago to the colors of the ocean. This Pisces girl feels MUCH more at home. Keep up the great posts! Barbara was a godsend for my family. She helped me totally remodel my home and it is so much nicer than I could have hoped for. Barbara made it easy to select furniture. I went to the furniture store four times and found nothing. Then, I went with Barbara and found all my new furniture at one time, and it’s amazing! I wanted purple; she found me purple sofas and beautiful area rugs. She also planned out a redesign for my whole house that is open, functional and beautiful. I love my whole space, from the bathroom through the kitchen. The tile, flooring, color of the walls and kitchen layout; all make me feel comfortable and peaceful, in my home. It’s upbeat and fits my personality. It really beats the old stuff that I couldn’t stand to look at, anymore. If you want a fantastic space and a real “at home” feeling, employ Barbara and enjoy the whole process! I have had this book for a while, but I finally picked it up as I was trying to make some choices for a new house I’m moving into. I have been conflicted with my own personal style for a long time now. The questions stimulated me to really dig into what I wanted! It is more than a design book; it’s a book to help you find yourself and create a living space that is suited just for YOU!!!! GET THIS BOOK! Barbara Kaplan is not only a visionary in her approach to interior design but an inspiration to those to who know her personally. I am fortunate and grateful to be the recipient of Barbara’s generosity, kindness, and wisdom. Her love of her career, family, and friends resonate in all she does and her passion for life is very contagious. Barbara is a true inspiration! I just want to tell you how impressed I am with your talent, patience, sense of humor, professionalism, and ability to turn out fabulous projects. Your clients are lucky to have you! Barbara helped us create a home environment that is truly a reflection of our lifestyle. She took us through a process in which we were able to refine our ideas and implement them with confidence. It means so much to me that you assessed each room with me. Since your visit, the way I view both my home and my life has changed. I’m striving for comfortable function and peace here now, rather than putting things in places because I saw it in a magazine. I’ve changed a number of areas of my home, with your voice in my head. And there are more changes to come! Such great advice over the last few weeks, Barbara. Thank you so much!! My living space is really now OUR own and is very comfy for us! And I have MY own space too!